1. You are welcome to have a wedding in any of our parks, but we do not reserve the park selected for your exclusive use. This means that other patrons may be in the park at the time of your wedding. 2. Even though we do not take reservations, we ask that you call our office and give us your name, phone number, the date and time of your wedding and what park area you are using. This way if someone else calls with that same date, we can make sure there isn’t a conflict. 3. It is permissible to set up chairs or a tent/canopy for the ceremony. 4. Under city ordinance, alcohol is not allowed in the parks. Curfew in all of our parks is 11:00 pm. 5. Whalen Cabin (located a block away from Phelps Park) is an enclosed facility with a restroom, stove, refrigerator, microwave, tables and chairs. It also has a picnic shelter attached to it with picnic tables and a picnic grill. This facility has been used for weddings and receptions in the past and may be rented from 11 am to 4 pm, 5 to 10 pm, or all day. The cabin and shelter could comfortably hold around 80 people. 6. We have several picnic shelters and a bandshell in Phelps Park that may be rented. The bandshell has been used for weddings in the past, often combined with shelters if they plan on serving a meal afterwards. All of the shelters have picnic tables, an electrical outlet and a picnic grill. Phelps Park does have restroom facilities. 7. 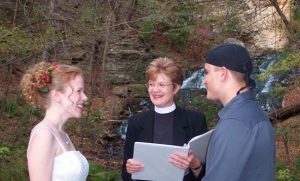 Twin Springs and Dunning’s Spring parks are also popular for weddings. Be aware there are no restrooms or picnic shelters and parking may be an issue. Most people use these areas for the actual wedding ceremony and make arrangements elsewhere for the reception. 8. Each calendar year on the first weekday in January (New Year's Day being the exception), we begin taking reservations for the shelters and Whalen Cabin. Your wedding requests will also be taken then. 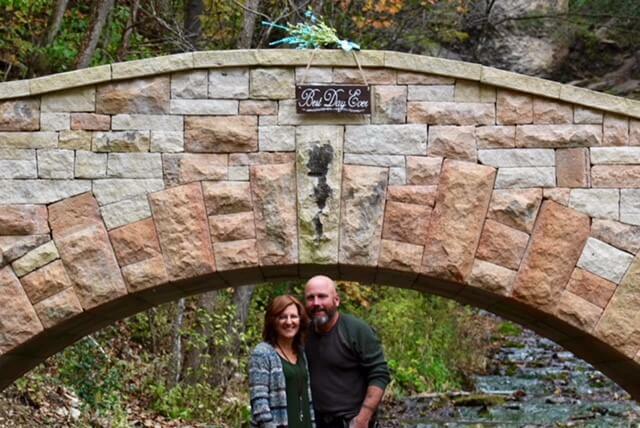 Copyright © 2019 - Decorah Park & Recreation Department | All Rights Reserved.